Additional shells in your Hermit Crab enclosure is one of the most important factors in keeping your crabs happy and healthy. 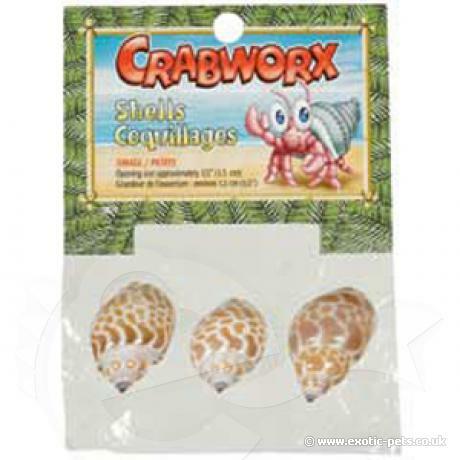 Shells provide a new home for your growing Land Hermit Crab. Several different sized shells should be made available in order to prevent crabs from fighting over shells or not being able to find an appropriately sized new home.